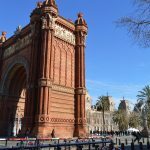 The first question that family or friends ask me when they come to Barcelona is where can I try good Spanish food? Fortunately, Barcelona offers many types of Spanish cuisine, from the Basque country to Catalonia. I decided to make a list of the restaurants that I like the most and consider that they offer good quality/price. I decided to divide it into 3 categories cause it is better to know the budget you have before. Blai tonight: Basque tavern in Poble Sec, typical dish “Pinchos” each is worth 1 / € 1.50. Do not break the toothpicks, they are used to calculate how much you have spent. Les Truites: Spanish omelet specialist (Tortillas) metro El Putxet. Really cheap and really good, a bit far from the city center. La Bombeta: Spanish Cuisine metro station Barceloneta, one of my favorites. The typical dish is the “Bomba” of meat. La Xampanyeria: Sandwiches and cold cuts metro Barceloneta. Always crowded, Cava for € 0.90/glass and sandwiches with typical delicious products. 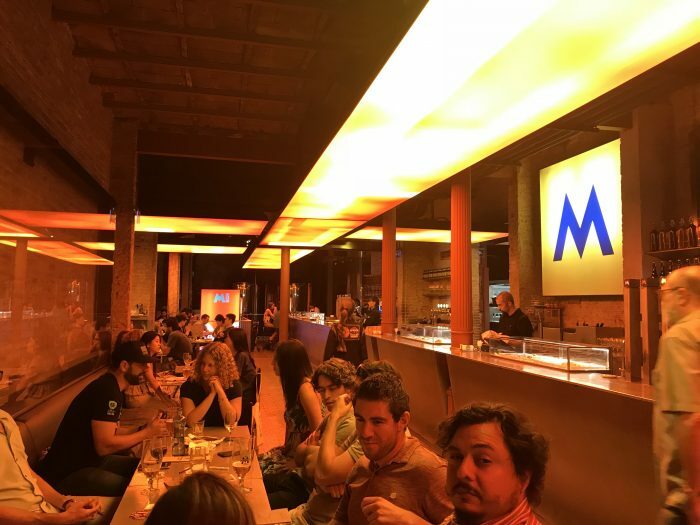 Fabrica Moritz: Catalan beer and food metro station Pl. Universitat. Good place for a big group, Moritz is a good Catalan beer. The Medium category is larger, the list of restaurants offering good cuisine is many. Prices can stay from 25 to 40 € per person, but I assure you that the quality is excellent. Finding a good Paella in Barcelona is not easy, I do not recommend the Rambla and Paseo Juan de Borbón (Barceloneta). Arume: Galician cuisine Sant Antoni metro. Specialists in octopus and paella. Bar del Pla: Tapas metro station Jaime I. A little tourist, you have to book. La Pepita: Tapas metro station Diagonal. Very nice, but always full. Taps: Tapas metro station Pl. Espanya. Mandatory booking delicious tapas. Xiringuito Escribà: Paella and fish. Better to book and go by taxi is not in the city center. 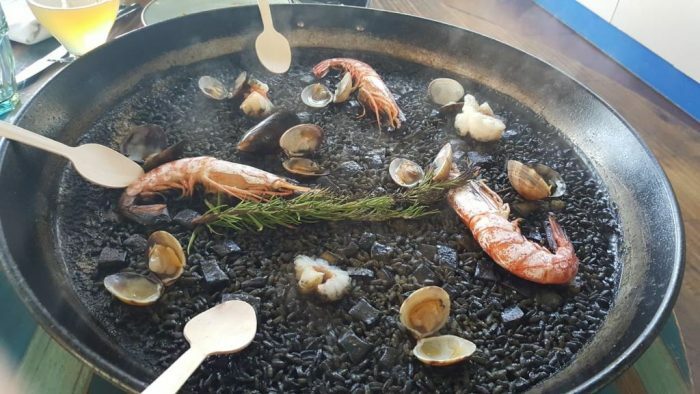 Barraca: Paella metro Barceloneta. Very good mixed paella, excellent environment. El Nacional: Tree restaurants in 1 place, metro station Passeig de Gracia. Beautiful place, you can choose between Tapas, Marisco, Oysters, and Jamon. The high list is mainly composed of Michelin Guide restaurants. In Barcelona, there are 16 restaurants with 1 *, 4 restaurants with 2 * and 2 restaurants with 3 *. If you want some advice on how to try one of these restaurants without paying too much, read here! 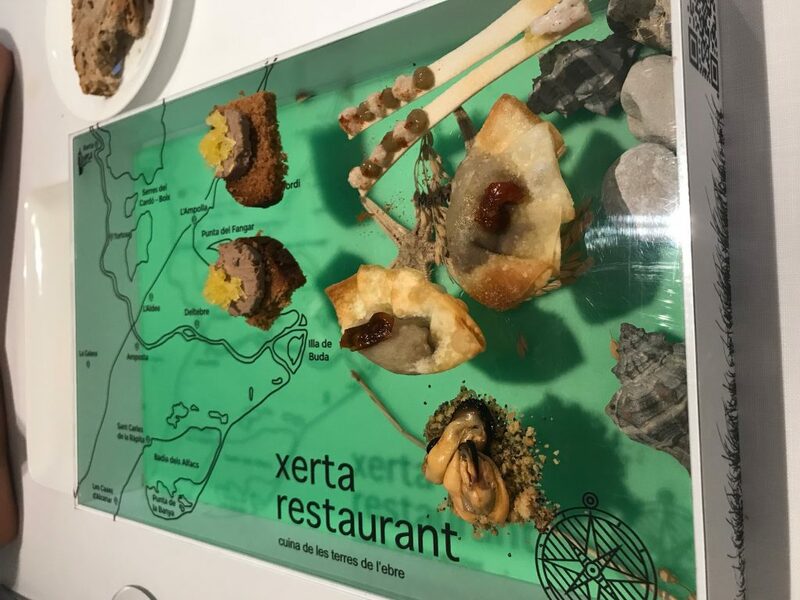 Xerta: Catalan cuisine (southern), Diagonal metro. 1 Michelin star excellent service and quality/price. Menu € 38 lunch from Monday to Friday. Hofmann: Creative cuisine, famous chef school, metro Diagonal. 1 Michelin star excellent service and quality/price. Menu € 38 lunch from Monday to Friday. Informal: Catalan Cuisine metro Drassanes or Jaime I. Menu from € 45 highly recommended.